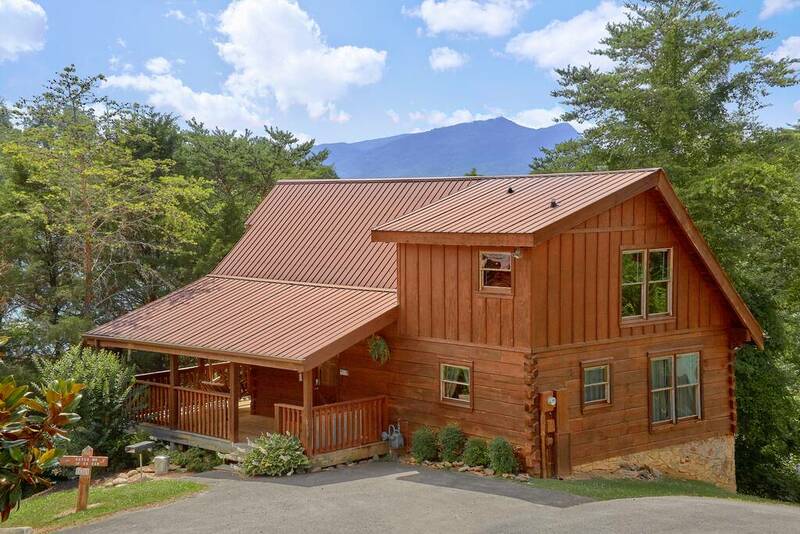 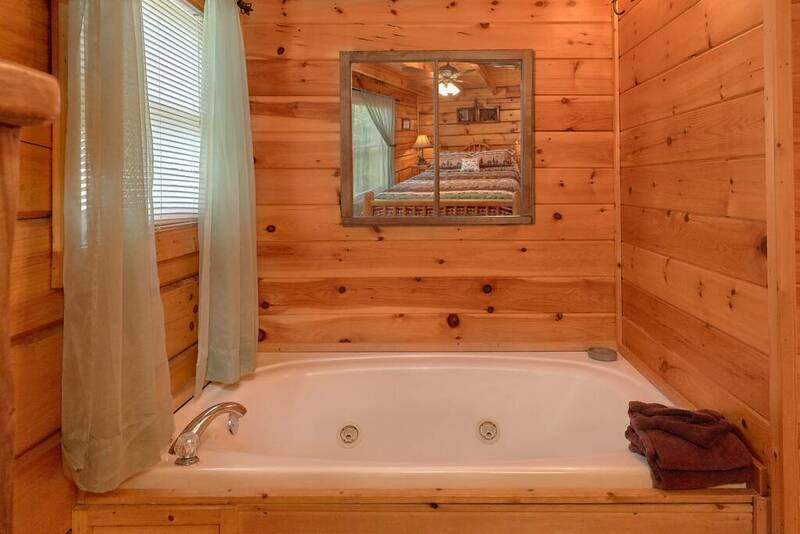 Catch Me If You Can This beautiful log cabin is easily accessible and located in a peaceful log cabin community making it the perfect choice for a romantic getaway or small family vacation. 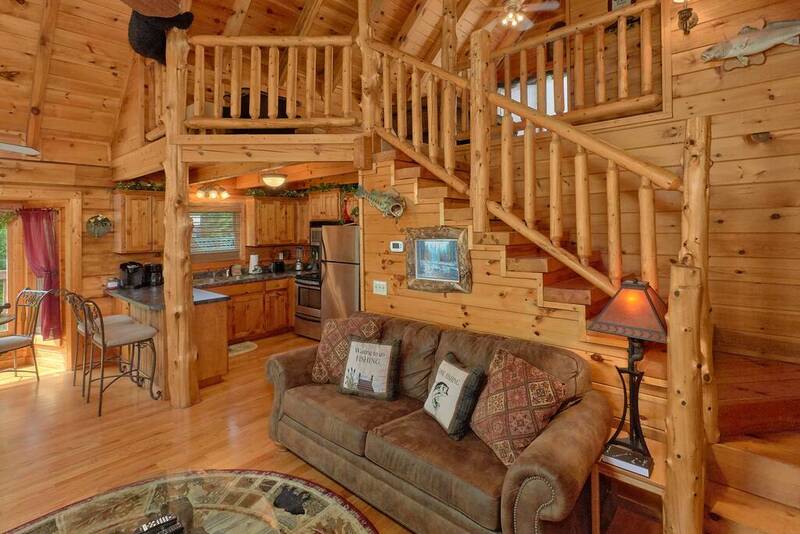 Cabin Layout: There are only 2 steps up to the porch. Enter the cabin into the cozy living room with gas fireplace and a TV with Satellite service and DVD player, there is also a sleeper sofa in living room. 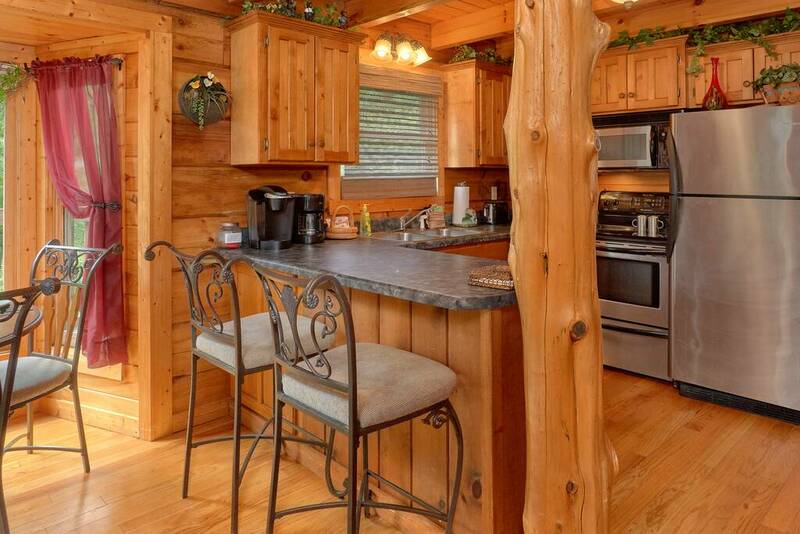 Fully equipped kitchen and dining area with ample seating. 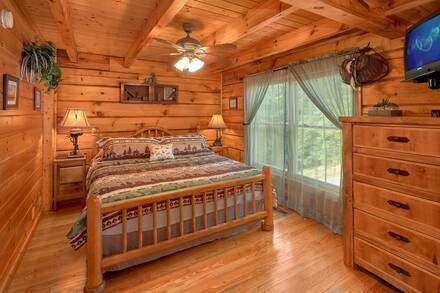 Off of the kitchen you will find the master bedroom with King bed, full bathroom and a Jacuzzi for 2. 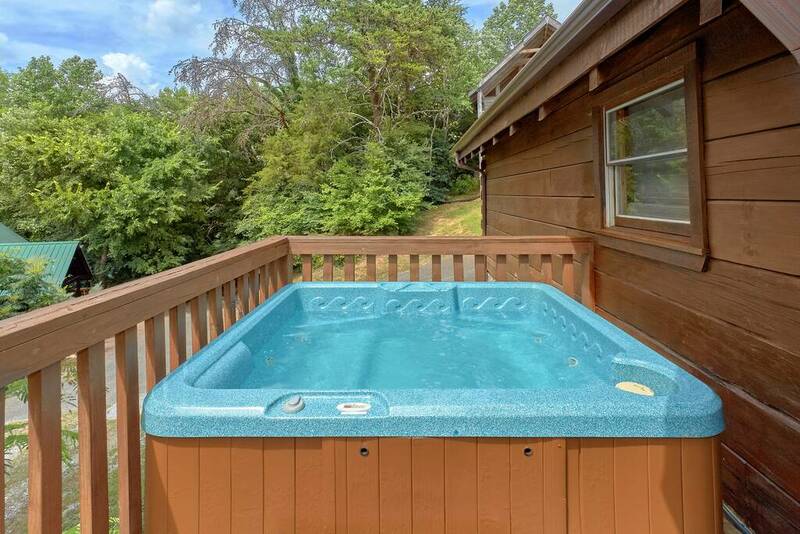 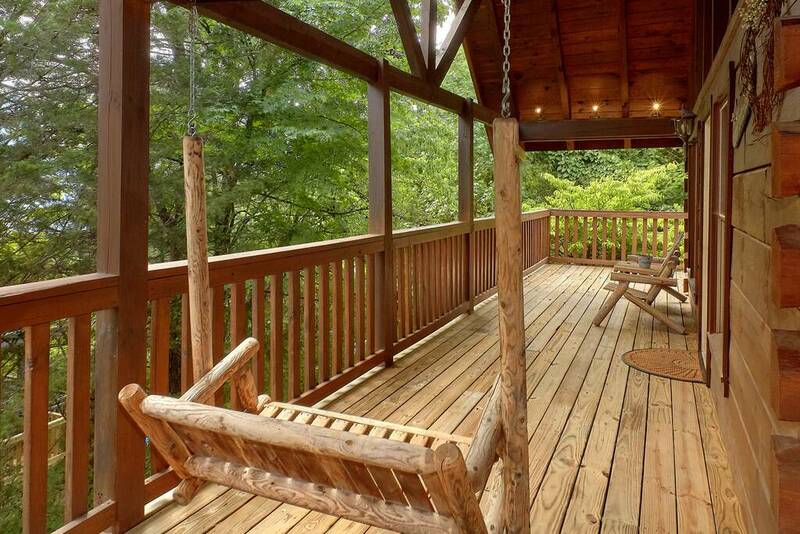 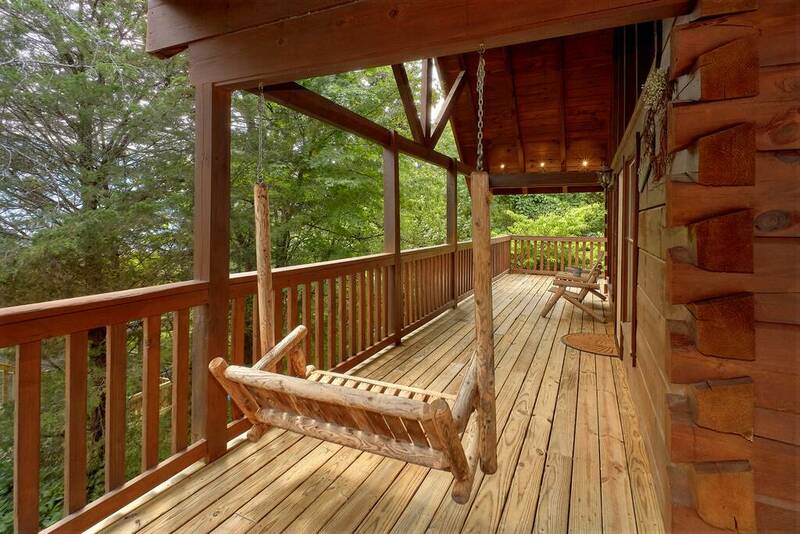 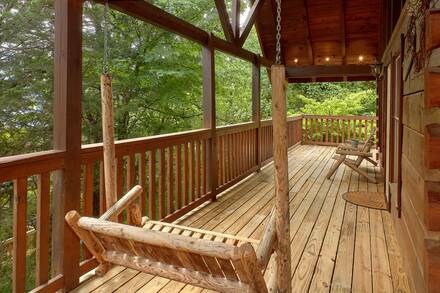 Outside on the deck you can enjoy the sounds of nature from the bubbling hot tub, the swing, or the rocking chairs. 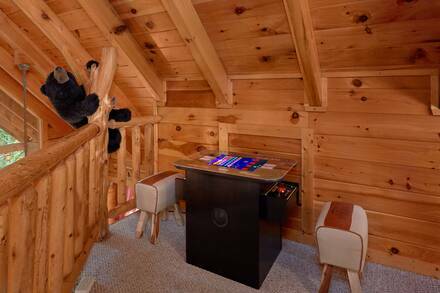 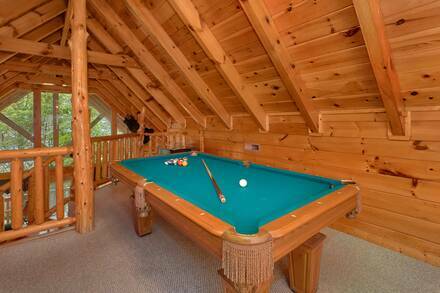 Upstairs: Upstairs you will find an open loft complete with a, two twin bunk beds perfect for kids or young adults, and a pool table area . 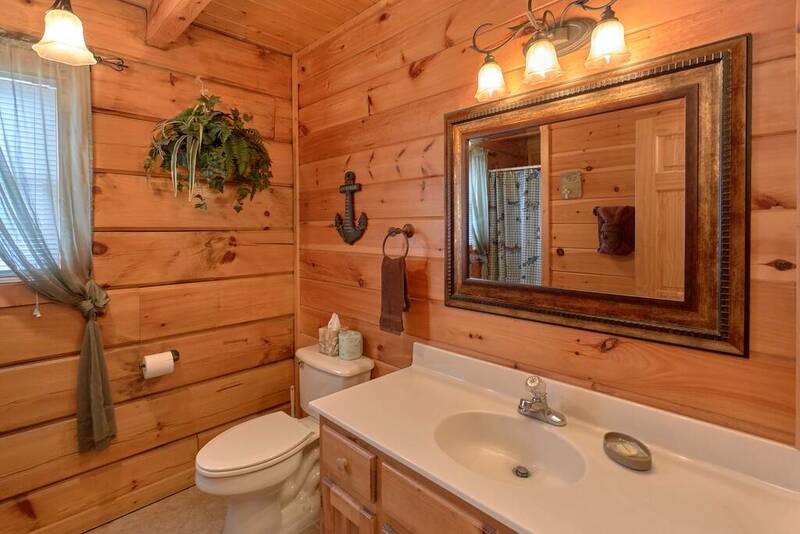 There is an additional full bathroom as well. 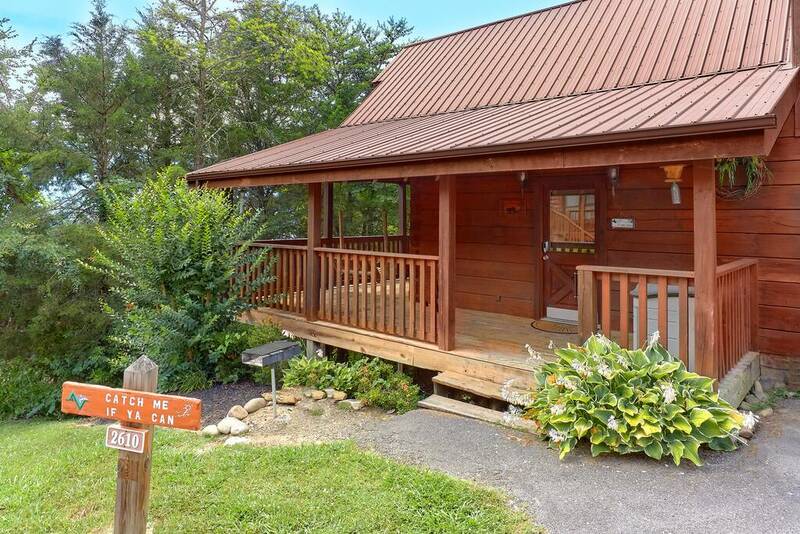 This cabin is just around the corner from the Resort Swimming Pool open Memorial Day to Labor Day and only ½ mile off the main parkway from all the activities. 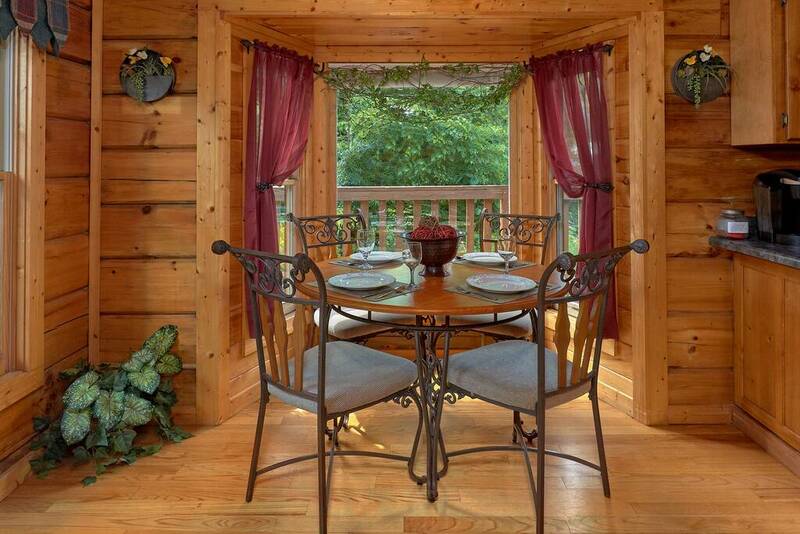 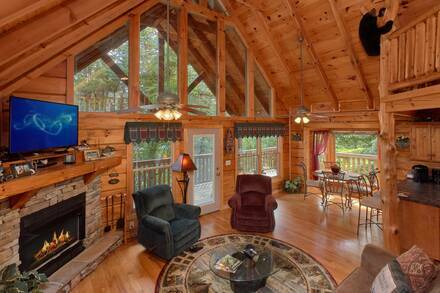 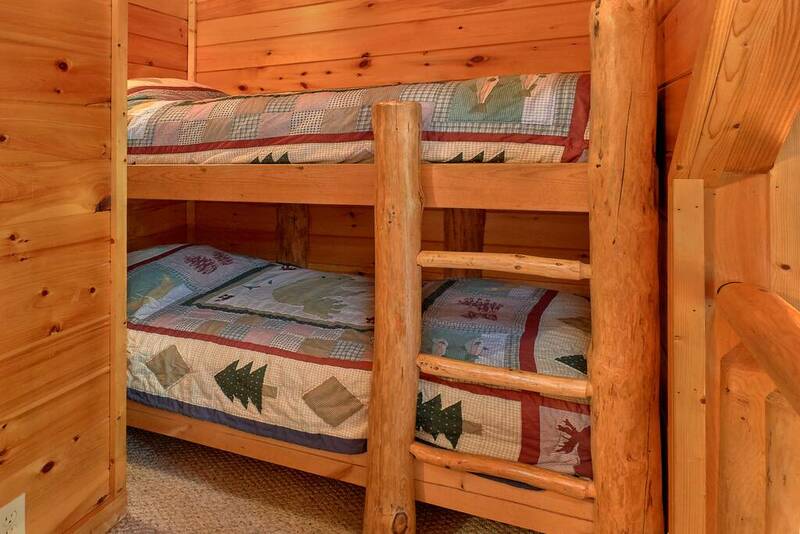 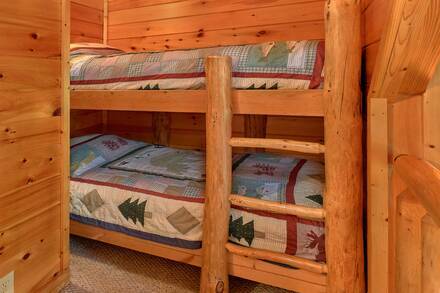 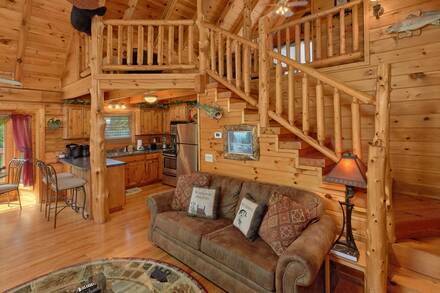 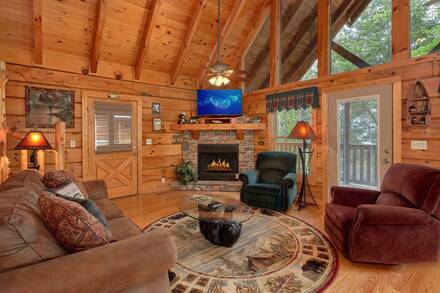 Call us or book online to enjoy this gorgeous log cabin today!